ELKHART, IND – Sound Image of Escondido, Calif., recently passed the 5,000,000-watt mark in Crown I-Tech inventory. In recognition of this achievement, David Shadoan, president of Sound Image, will be presented with a specially crafted award on the opening day of InfoComm 2008. BEVERLY HILLS, CA – Since opening in 1955, the Beverly Hilton has been a classic Southern California landmark, combining the glamour and excitement of Hollywood’s entertainment industry with the opulence of Beverly Hills. The hotel’s renowned International Ballroom has an impressive pedigree of its own right, including hosting such notable events as the annual Golden Globe Awards, Oscar Nominee Luncheon, and the Milken Institute’s Global Conference. As part of a spectacular three-year, $80 million renovation, the International Ballroom received an audio makeover complete with a compact, yet powerful, Meyer Sound system designed and installed by db Integrated Systems (dbIS) of Chicago, Ill.
NEW ORLEANS – More than three decades have passed since Stevie Wonder made a spontaneous appearance at the venerated New Orleans Jazz and Heritage Festival. 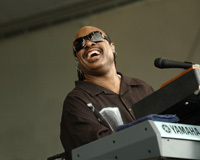 This year, he returned as a headliner at the rejuvenated post-Katrina fest on May 2. 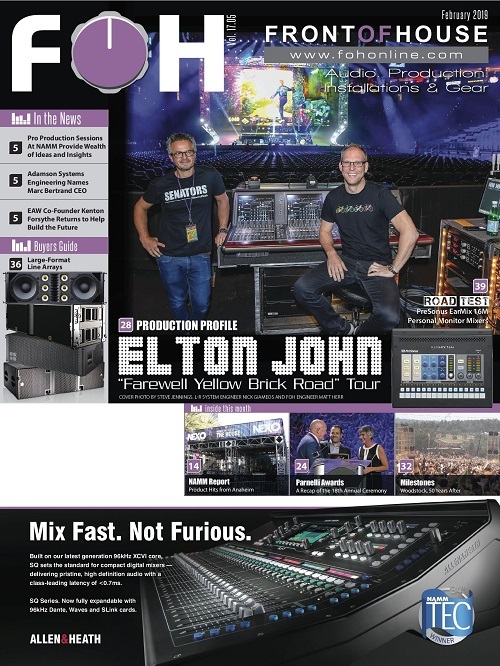 Dual DiGiCo D5 monitor consoles, under the direction of veteran engineers William Barnett and Dwayne Jones, managed Wonder’s extra-long input list — comprised of personal monitor mixes for three musicians, background vocalists, Stevie and floor monitor mixes. LOS ANGELES – ABC Television’s Dancing with the Stars returned in mid-March for its sixth season with some of the highest profile celebrities to yet appear on the competition. Also taking a new starring role this season is Sennheiser, with Burbank-based wireless experts Soundtronics supplying the show’s audio mixer, Evan Adelman, with SKM 5200 RF handheld microphones outfitted with ME 5002 and MD 5235 capsules, MKE Platinum lavalier mics and SK 5012 and SK 5212 transmitters, plus a slew of instrument mics and HD 25 headphones for the orchestra members. HENDERSON, NV – Despite its relatively intimate size, the new Ovation Lounge music club at Green Valley Ranch Resort in the greater Las Vegas area has been steadily hosting a wide variety of popular artists – including Big Bad VooDoo Daddy, Blues Traveler, Collective Soul, Flynnville Train, Grand Funk Railroad, Kool & The Gang, Rick Springfield and Stanley Clarke âŽ¯ all of whom have been wowed by the venue's impressive L-ACOUSTICS KUDO loudspeaker system. 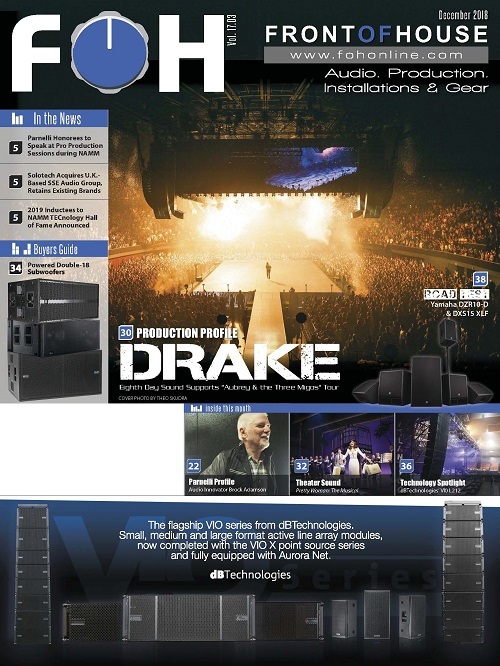 DETROIT –Yamaha Commercial Audio Systems, Inc. invites acoustical consultants and sound system engineers in the Detroit area to listen to and critique the new NEXO GEO S 1210/1230 Series compact loudspeaker array. MIAMI – The 10th Ultra Music Festival in Miami was a Who's Who of world re-nowned DJs and electronic music artists with an expanded schedule of two days to accommodate all of the artists. 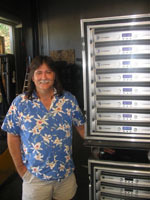 Covenant Music and Managing Director Alex Vincero employed Powersoft’s 18 K Series K10, K8 and K6 digital amps at the festival. OKLAHOMA CITY – Brewer Entertainment recently purchased a Monarc MLA3 line array system for their production work in Bricktown’s Historic Coca Cola Center. 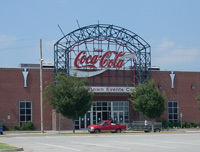 This Oklahoma City landmark event center is host to many concert events for the city, and Brewer Entertainment, who has an ownership stake in the venue, was intent on raising the bar for audiences and promoters alike. WHITINSVILLE, MA – The upcoming world concert tour by R.E.M. 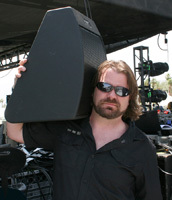 will feature EAW MicroWedge MW12 stage monitors deployed by Monitor Engineer George Squiers to provide monitor sound on stage for all band members. 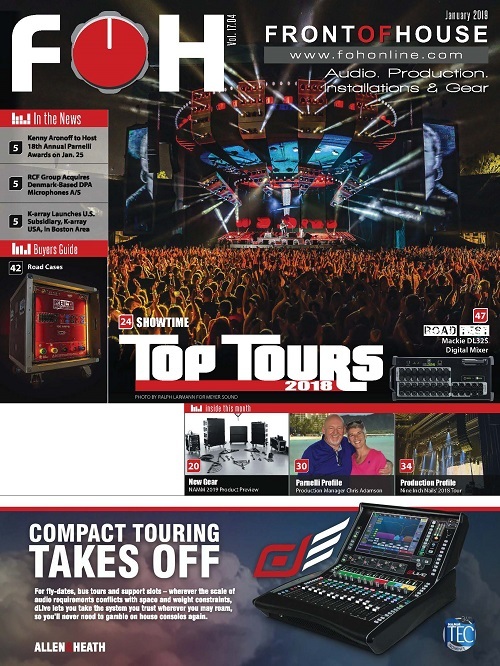 Designed to address a wide range of SR applications, from portable PA systems for mobile DJs and performing musicians through large venue sound systems, Carvin introduces the new LSx Series loudspeakers. 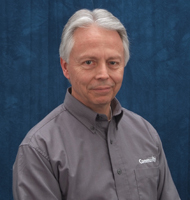 CHESTER, PA – Community Professional Loudspeakers has appointed Chris Foreman to the position of vice president, chief operating officer. 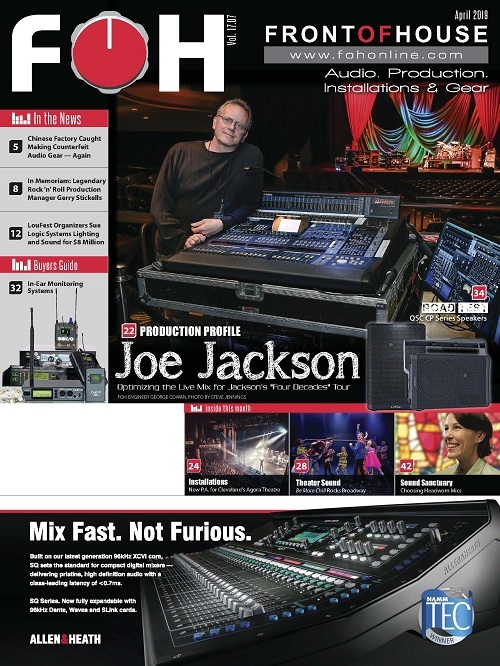 Foreman, who rejoined Community last year, is an industry veteran with more than 40 years of experience in professional audio. DERRY, N.H. – Granite Rocks Live is an audio production company located in South-ern New Hampshire – a hotbed of live musical and concerts not far from Boston. 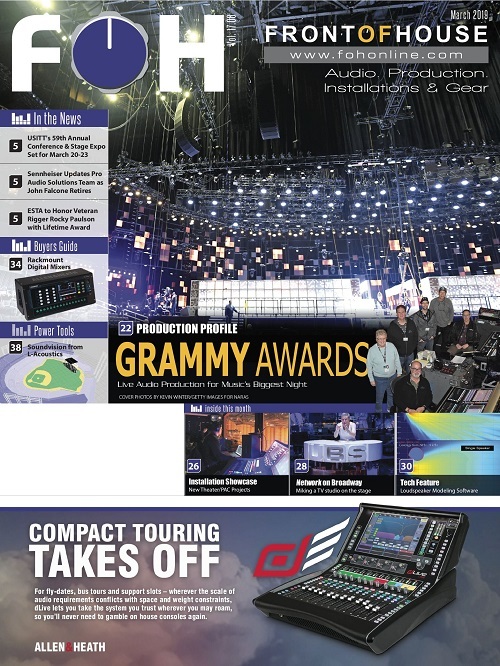 As Granite Rocks Owner Steve Devino puts it, "Musical theatre is unique in that it generally involves a whole lot of channels to accommodate 30-plus wireless microphones, enough wired inputs for the orchestra and plenty of channels for sound effects. 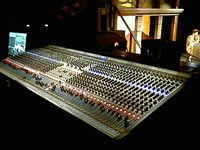 And if that wasn't demanding enough," Steve adds, "a multitude of mixes are required as well."